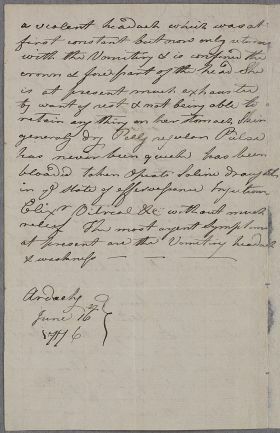 Letter from an unnamed correspondent [almost certainly Dr Fraser] regarding the case of Mrs Frazer. 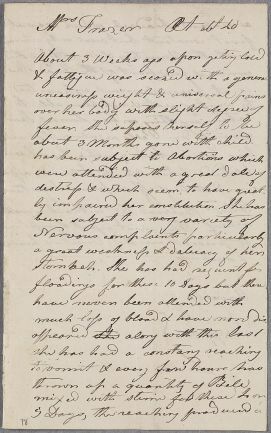 Summary Letter from an unnamed correspondent [almost certainly Dr Fraser] regarding the case of Mrs Frazer. Case of Mrs Fraser who consulted Cullen back in 'Winter 1765' [no documents traced] and who may have recently miscarried. about 3 Months gone with child.